I can't believe it's December already! I finally finished my advent calendar, just in the nick of time too! My boys are very excited to find treats and Christmas activities in the boxes. This was a great way to use a wide variety of my collection - and while the better part of these are current products, I did use some retired product too. 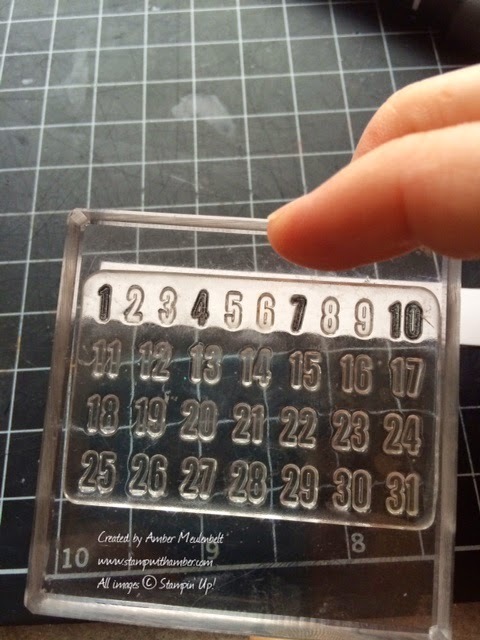 To make the numbers, I uses the calendar stamp from the Project Life Day to Day set and inked every third number (to give enough room between each one for punching). Then I used the 1/2" circle punch to cut them out.